A year or so ago I discovered FutureLearn and MOOCS (FutureLearn emailed me as I was an Open University Alumni) and I later delved (and blogged) a little deeper into the world of MOOCS. 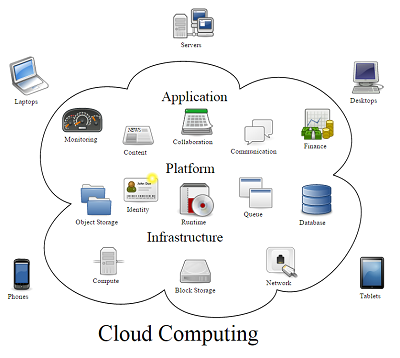 It seems that cloud computing is now really taking over. I have two young kids and they are both enrolled in cloud based education systems (ActiveLearn and Explore Learning). Cloud computing really is changing the way we are all learning. I decided to delve deeper still ……. Teachers and tutors are increasingly utilising cloud-based tools to provide education resources over the Internet. Nowadays it’s not uncommon for children to start infant school with accounts for cloud-based resources that provide interactive games and activities to enhance their learning experience. More recently, cloud services have started to provide teachers and parents with reports on a child’s progress. Monitoring pupils in real-time in this way is helping teachers to quickly identify strengths and weaknesses in a child’s development. Although cloud computing is providing a huge array of cloud based services today, it is education that is the most exciting (at least, it is for me now I am a dad!). Here we look at some examples of how cloud systems are being utilised in today’s schools and colleges, and offer up some predictions as to how cloud computing is going to be used to deliver a more comprehensive education to tomorrow’s generation. Some schools are creating cloud environments where children can largely determine their own learning journey. George Stephenson High School in Killingworth, England, has built a special cloud classroom that is calls the Self-Organized Learning Environment (SOLE for short). In the room, children are allowed to determine their own educational path by using resources from the internet. The idea was spawned by a Sugata Mitra’s TED Talk that introduced the SOLE Toolkit. Mitra’s dream is to “build a school in the Cloud, where children can explore and learn from one another”. He was crowned winner of the 2013 TED Prize for his innovative thinking on education reform in the digital age. Wired reported that this radical shift in education has the potential to “unleash a generation of geniuses”. Many UK schools are using a premium cloud service called ActiveLearn. ActiveLearn was developed by Pearson, a major publisher of educational text books and resources. This is a great example of how a traditional publisher has delivered a unique cloud-based digital service to its existing client base. ActiveLearn provides each child with their own account that they can access in school ICT lessons and also at home on desktop computers and tablets. Children can determine their own learning journey by exploring the many options available, while teachers can monitor their progress and guide children by activating new resources. ActiveLearn has over 800,000 users, which represents almost ten percent of all children in education in the UK. Children of all ages are using ActiveLearn to enhance their learning. Teachers are able to monitor student progress and usage and provide group level and personal reports. ActiveLearn also addresses privacy issues effectively by providing only unique account details; unlike many of the free cloud based services, account details cannot be shared or used by children beyond the software. Explore Learning is a private business that offers Maths and English tutoring at sites all over the UK and has recently expanded into America. All learning is computer-based and children work from their own accounts. The software runs off a bespoke IP VPN solution that provides the security and performance to ensure data privacy. Operating a cloud based service allows ExploreLearning to expand its centres without the need to install servers at every location; classrooms only require a desk, computer and internet connection to get online and get learning. Services such as ActiveLearn and ExploreLearning encourage children to learn through play. Virtual classrooms are vibrant, appealing and much more successful at engaging younger children, and are a great way to teach them how computers can be used to combine education and leisure. Many children react better to strong visuals and interactive games. This has been one of the biggest criticisms of formal education for many years – traditionally, it’s failed to engage children who were less interested in reading text from books. Cloud-based education systems and portals are simply making studying fun for many children, enhancing their willingness to learn. Of course, cloud based education is not only for children. One of the most innovative movements in the past few years is the rise of Massive Open Online Courses (MOOCs). These courses are usually free to join and are open to students all over the world. FutureLearn has become a major provider of MOOCs. It was set up by the Open University and works in partnership with universities who provide teaching material in video, audio and text format. Within one year of its launch, FutureLearn had enrolled 500,000 students. Courses range from creative writing and film making through to business management and law. Many universities have recognised that offering free cloud based education is a great way to market their establishments to a much wider audience while making use of existing material. Stanford University now offers many of its own MOOCs that draw on previously recorded lecture material (as well as newly created content, of course). MOOCs are designed for part-time students who have busy schedules. Courses are broken down into a bite-sized segments that last 20-30 minutes, allowing students to study at their own pace. Sugata Mitra’s dream of a school in the cloud where all children to can learn equally and collaboratively is certainly coming to fruition. We expect to see more new services launched and current ones evolve to meet the changing needs in the classroom and beyond. Advancements in global web infrastructure allow more children and adult learners to access the huge information resource that is the internet and all of its connected software services. Cloud education services are able to deliver a dynamic and tailored education to participants, while also providing crucial reports to teachers and parents. In the future, parents will no longer rely on annual school reports for an understanding of their children’s progress – instead they will be able to view progress in real-time and provide feedback to teachers and schools to develop a more effective and efficient learning journey for all children. ← Farewell Grooveshark – You Were The Best!